From this clause came US copyright law. Almost 100 years later, in 1886, the Berne Convention required its signatories to accept copyright or works from other signatory countries. The USA didn't sign it because Berne stated that an inventor or writer automatically owned the rights to their creation, whereas US law said the work must be registered to be protected, via copyright or patent. The US also wasn't in agreement with Berne on moral rights. Then came the Buenos Aires Convention, which was an alternative to Berne that the USA did sign, and then the Universal Copyright Convention in 1952, which expanded on the Buenos Aires Convention. The US finally become a Berne signatory in 1989 with the Berne Convention Implementation Act of 1988. 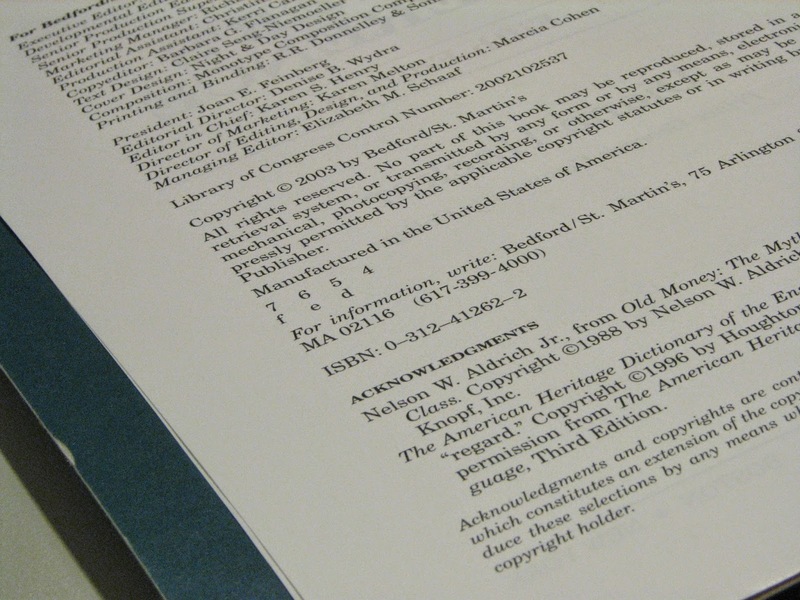 National exceptions to copyright (such as "fair use" in the United States) are constrained by the Berne three-step test. Right of Reproduction: (1) Authors of literary and artistic works protected by this Convention shall have the exclusive right of authorizing the reproduction of these works, in any manner or form. (2) It shall be a matter for legislation in the countries of the Union to permit the reproduction of such works in certain special cases, provided that such reproduction does not conflict with a normal exploitation of the work and does not unreasonably prejudice the legitimate interests of the author. Next came the WIPO Copyright Treaty in 1996 which was implemented in US law by the Digital Millenium Copyright Act. Besides protecting the copyright holder from unauthorized reporduction of their work, it also criminalzed production and dissemination of technology, devices, or services intended to circumvent measures (commonly known as digital rights management or DRM) that control access to copyrighted works. Now, before I get into my feelings about what all of this means, I want to say that I did most of the above research on Wikipedia, and even cribbed most of my final sentence verbatim from the Wikipedia DMCA page. It could be argued that my blantant plagiarism is fair use, but happily I don't need to argue that, because Wikipedia has a Creative Commons License. I don't violate any copyright by copying Wikipedia enteries because they allow it. So, according to US law, if I write something original, I own that work and own the rights to reproduce and exploit that work. I cannot copy the works of others unless I get their permission. I cannot sell the works of others unless I get their permission. I cannot jailbreak the devices I own (or write programs that allow people to jailbreak their devices). I cannot strip DRM from works I legally obained. I can own an online service provider where users can violate the Berne Act and DMCA. Hmm. Things seem to be getting sort of confusing. So I can buy a paper book, let all of my friends borrow it, then resell it on eBay, and that's perfectly legal according to the first sale doctrine. But I can't lend my ebooks to my friends or my mom without getting the author's permission, and I can't jailbreak my phone or PS3, and I can't strip DRM from ebooks I paid for. Can I post images I find on the Internet on this blog, like the one above? Can I make copies of songs I own? Yes, I'm allowed to make back-ups, but only if I retain the hard copy of the original. If I ever sell a CD I ripped, the mp3s I own are illegal. Ditto with DVDs. But I can record movies off of TV and put them on DVD for personal use, and I can record songs off the radio legally. Is it me, or are things becoming sort of cloudy, if not convolted? Don't think so? Think this is a simple black and white issue? Have you ever recorded a TV show? That's legal. Have you ever downloaded a TV show from a filesharing sight that aired last night because you missed it and forgot to record it? That's illegal. Have you ever found an image on the Internet and put it on your blog without permission? That's illegal. Have you ever borrowed a book from the library? That's legal. Have you ever burned a friend's CD? That's illegal. Have you ever bought a used video game? That's legal. Have you ever downloaded a videogame without permission from the copyright holder? That's illegal, even if the game is out of print and unavailable for sale. Do you allow people to lend your ebooks via the Kindle Book Lending feature? That's legal. Do you use DRM on your ebook titles? That's legal. Have you ever stripped DRM from an ebook title? That's illegal. Have you ever jailbroken a device? That's illegal. Have you ever heard a parody song? That's legal. Have you written fan fiction? That could be illegal. Have you every watched a cable TV show at a friend's house? That's legal. Can you sell ebooks and mp3 songs you don't want anymore? That's illegal. Have you ever listened to a live band that played cover songs? That's legal. Have you ever brought a recording device into a concert? That's illegal. Lot's of gray there, huh? Here's what I perceive the primary problem with current aspects of US copyright law is: it punishes the consumer and has no proven advantage for the copyright holder. The world is changing. With the advent of digital media, ebooks can be reproduced indefinitely for zero cost, and destributed for near zero cost. People are consistenly and routinely breaking copyright laws with no measurable impact on the artist. People want to be able to do whatever they want with the stuff they buy. They don't want restrictions. People increasingly treat information and entertainment as attainable for cheap or free. Stealing something digital does not equate a lost sale. The problem isn't piracy. It's discoverablilty. Suing people for filesharing is ineffective. Closing filesharing websites is ineffective. Restricting digital media is impossible. Rights holders who don't make their IPs easily available, via fair cost and convenience, are asking to be pirated. Open source always beats closed source in the long run, even with current copyright law. DRM gets broken all the time. Billions of files are shared daily. Jailbreaking, modding, homebrewing, sampling, remixing, and fan fiction (among other activities) are always going to happen because that's what human beings do. We're a species that uploads Vines and Harlem Shake videos to YouTube. We make mix tapes. We install Linux on our PCs. We post anonymous stories where Spock nails Harry Potter. We tweet links and pics. We mod Donkey Kong so Mario is naked. We have the majesty that is Beatallica. We share our digital information and entertainment. And I think all of that is good. I'm reading a conflict between steps 1 and 2. Because I don't think the free reproduction and distribution of my work conflicts with my ability to exploit my work. Anyone can get my ebooks for free, yet I still sell well. My legitimate interests are protected, even with abundant piracy. Authors of literary and artistic works shall have the exclusive right of authorizing the reproduction of these works, in any manner or form, for the purpose of financial exploitation, for the term of the author's lifetime. If anyone wants to copy it, or share it, they're free to as long as they aren't doing it to make money. Only the artist (or those the artist assigns rights to) can monetaily benefit from an IP. Some might argue that such a thing would seriously impair an artist's ability to make money. If every ebook on Amazon.com for $$$ was available on a mirrorite PirateAmazon.com for free, wouldn't everyone use PirateAmazon.com? I don't think so. Some readers only get free ebooks on Amazon.com, and never pay for anything. Others go to libraries. Others buy used books. And just about every ebook available on Amazon.com is already available on filesharing sites. Yet many writers, me included, still manage to make decent money, even though all of my books are freely available, both legally and illegally. The fear of piracy is an irrational fear. I don't know of any reputable study that shows piracy hurts sales. Trying to restrict and control information and entertainment is short-sighted. Eventually everything can be gotten for free. No one can stop that from happening. As soon as you create something and post it on the World Wide Web, the genie is out of the bottle and not ever going back in. And as much as you stamp your feet and say, "That's not fair! I'm the copyright holder!" it's not going to stop it. The DMCA isn't going to stop it. DRM isn't going to stop it. Stronger copyright laws won't stop it. Irritating fans is going to hurt you, not help you. And worrying about people stealing your IP is time better spent worrying about something you have more control over, like the weather. It's human nature to share. Because we share we have wonderful things like YouTube and Wikipedia. We have Bittersweet Symphony. We have My Sweet Lord. Like it or not, we have Fifty Shades of Grey. What if Monet had been able to copyright the Impressionist Movement so no one else could try it? What if Hume required a license before anyone could teach Empiricism? What if Faraday had patented his homopolar motor and dynamo instead of allowing others to use them freely, resulting in electric motors and generators? I'm a thriller writer today because I was influenced by thriller writers I read for free at the library, or bought used because I was poor. I don't believe Ed McBain or Robert B. Parker ever made a dime off of me, but they shaped the way I write and what I write about. Hopefully, somewhere, my books are influencing some new writer. And I don't care if she got them off of Demonoid. I believe one of the most authentic and meaningful political movements in the last hundred years is the Pirate Party. Their logo is on the left. I didn't ask for permission to use it, but I'm guessing they'll be okay with that. 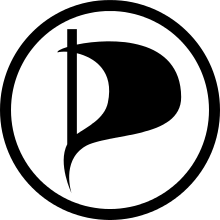 The Pirate Party supports civil rights, direct democracy and participation in government, open content, information privacy, transparency, freedom of information, and net neutrality. They oppose censorship and warrantless surveillance. They also support the reform of copyright and patent laws. And I believe they are just as right about that as they are about everything else I just listed. You can't police the Internet without trampling on rights and restricting freedoms. No one should even be trying to. Q: But Joe, that's insane! How will authors make money if everything is free? A: I just incorporated a business that will do just that: pay the artist while the content is free. More soon. Q: But the Pirate Party believes copyright should only last five years! That's too little! A: How do you know that's too little unless we try it and see what happens? Personally, I'd prefer a longer copyright. I propose the lifetime of the author. But I wouldn't say no to 30 years. Walk Disney is long dead. Why should his heirs and company continue to make money off of Mickey Mouse? What did they do to earn it? What if we still had to pay Shakespeare's estate to perform his plays? Would he still be the most popular writer in history? Q: If you're so gung-ho about free, why don't you make everything you write free? A: At one point or another everything I write has been free, using Amazon promotions. I'm also widely pirated. If someone wants to find my work for free, they can Google it easily. Q: But are't you losing money when you get pirated? A: I don't see how. When I was looking for an image to use on this blog, I looked for free images. I wasn't in the market to buy an image (like I do for my book covers). No photographer, anywhere, was going to get any money out of me for a copyright page picture. I was going to keep looking until I found something free. That's what many pirates do. They download things they wouldn't have ever bought. 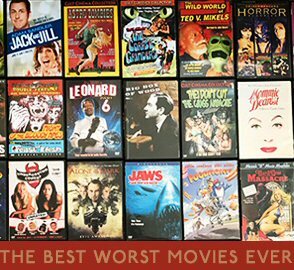 Or things they are unable to buy because they are too expensive, out of print, or unavailable. I used to download TV shows like Through the Wormhole via bit torrent, because if I missed an episode there was no way to watch it otherwise. Now I just download them for $1.99 an episode on Amazon. It's easier and faster, and the price is right. Q: Why are you even blogging about this? A: Because in the past week I was spammed twice by services advertising "help" for authors removing their ebooks from pirate websites, and I also got a copyright registration in the mail for one of my Amazon published books and thought, "Why the hell do I need this? What a waste of time, money, and common sense." It's 2014. Establishing authorship is as easy as Googling. And the only entities who benefit from DRM and anti-piracy services are those selling DRM and anti-piracy services. Paranoia is ugly. Get over it. Q: Wasn't your last blog about keeping old titles visible? Isn't that the opposite of saying people can steal them? A: If my ebooks became the most pirated ebooks on the Internet, I bet my income would go way up. I should be so lucky. Q: I think you're just being intentionally provactive for link bait. A: I don't need link bait, because I don't think fans read this blog. This blog is for writers. And I believe writers would be doing themselves a big favor if they stopped worrying about piracy. You hear that. Roxana Robinson? When Scott Turow was president of the Authors Guild, he wasted a lot of time, money, and hot air ineffectively trying to combat piracy. Now that you're president, how about you do something worthwhile? Like affordable health insurance for members? Or having members boycott publishers who refuse to raise ebook royalties? Piracy can't be stopped. And I don't believe it should be stopped. This belief is growing, and will continue to grow until laws are changed. And they will be. You can't win when it runs contrary to what most people want. And for the record, even though I shouldn't need to say this, anyone is welcome to repost this entire blog entry--and my entire blog for that matter--for free anywhere they'd like.